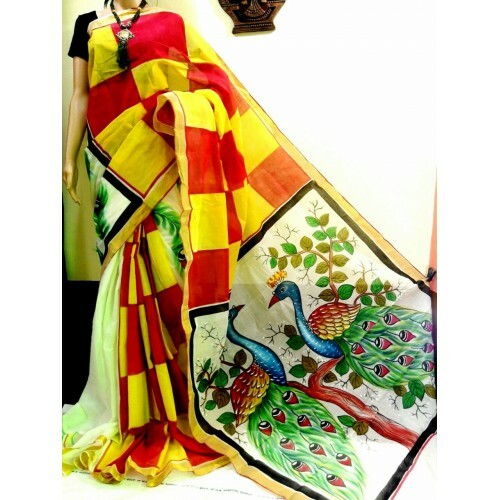 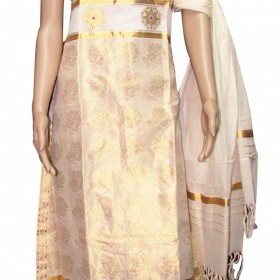 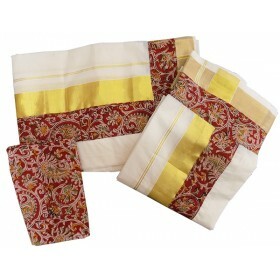 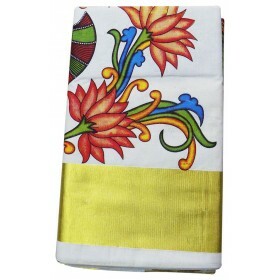 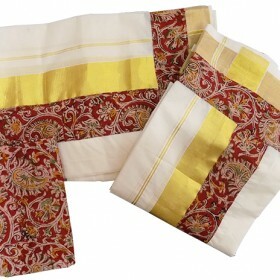 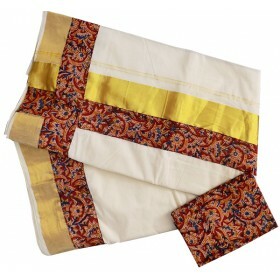 Trendy traditional Kerala kasavu cotton saree with off white color on half portion and in front fleet and pallu we have nice combination of red and yellow in Box pattern design. 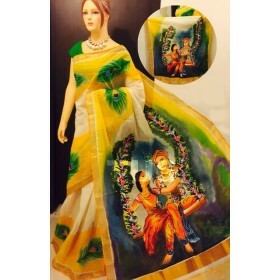 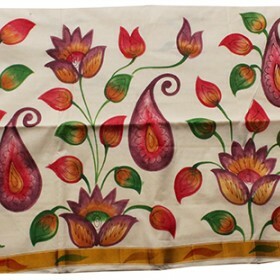 Hand painted design of two peacocks sitting in a tree on pallu which makes it gorgeous. 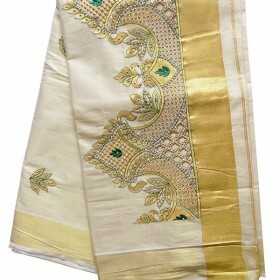 And on both sides golden border which is the main attraction. 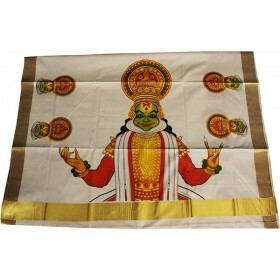 This is rich and royal for any function and also can gift to your loved ones to make their special day more marvellous. 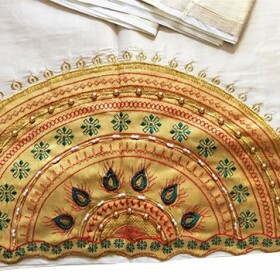 Running blouse piece comes along.